I recently wanted to change how my menus worked in a Bootstrapped client website. I thought about trying to tackle this myself, but decided to look around and see what was available. 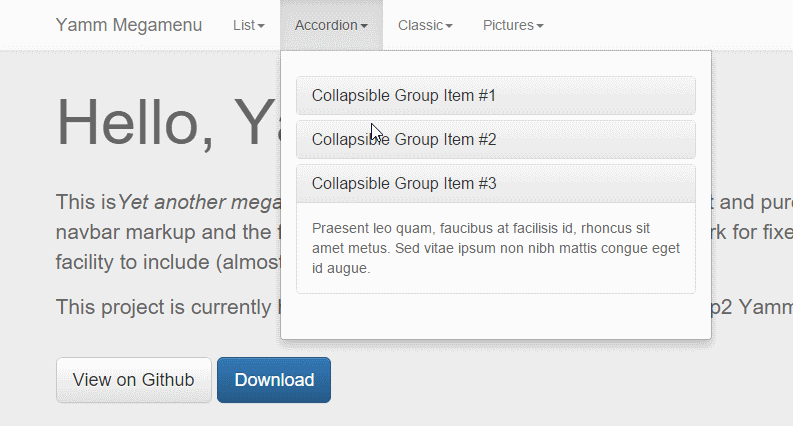 Lucky for me, I found Yamm for Bootstrap! This is a Bootstrap menu system that lets you incorporate Bootstrap components into your menus. Check out https://github.com/geedmo/yamm3 for more information.